If you have a princess in your household, then you know that dressing up as royalty cannot be contained to just one holiday a year. 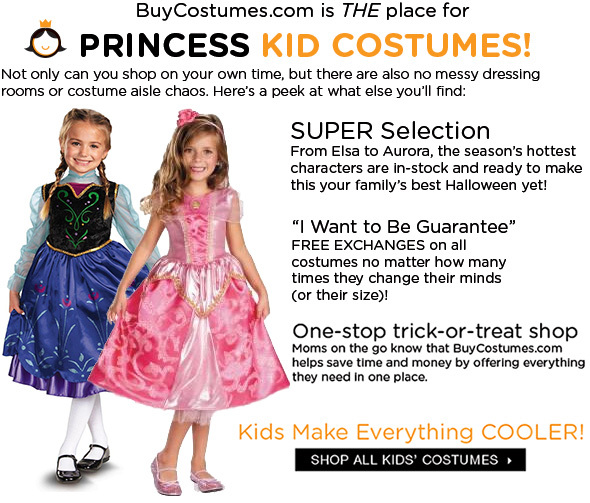 Whether your little one is preparing for a cold weather coronation or to have tea with the fairies, BuyCostumes.com has everything that she'll need to suit up in stately style. And, to help make sure you maintain some of your hard earned royal treasure (because we all know that raising a princess doesn't come cheap), you can receive 15% off 1 item at BuyCostumes with coupon code AFCBC151!